September 8 marks the 50th anniversary of the creation of the Star Trek science fiction series that began in 1966. There is significant evidence that its creator, Gene Roddenberry, did not simply come up with the idea of Star Trek on his own. Instead he was encouraged to create the series based on classified information surrounding the development of a secret U.S. Navy space fleet that would build a broad extraterrestrial alliance. This led Roddenberry to come up with the idea of a United Federation of Planets, with its military headquarters in San Francisco. The only reason Roddenberry created Star Trek, at least initially, was to sell another series to a network. He was, if not desperate, anxious… He had just failed with The Lieutenant, for Norman Felton’s Arena Productions … No one was clamoring for another series from Roddenberry, or even his scripts. His agent suggested he come up with a space series… This may have led to what The Outer Limits historians insist are the accurate — if generally unknown — accounts of Roddenberry hanging out at times on the set of The Outer Limits. When I learned this, it wasn’t hard to imagine that series creator, and executive producer, Leslie Stevens … was someone that Roddenberry may have sought to emulate. Star Trek was in fact an outgrowth of The Outer Limits. Gene Roddenberry watched our dailies all the time and took a lot of phone calls from our screening room. He was spurring his imagination and checking on the incredible quality control we had. I wondered why he was there but he was there more often than not during the time he was coming up with Star Trek. Bearing in mind that Roddenberry was contracted to a rival studio and a rival network, the odds are essentially slim to none that the two men didn’t have some kind of business arrangement, whether in writing or not. If Stevens and Roddenberry had indeed developed a business arrangement for the new Star Trek series, this is where Stevens background becomes critical in understanding the nature of their arrangement. Stevens was the son of a U.S. Navy Vice Admiral Leslie Stevens who died in 1956. 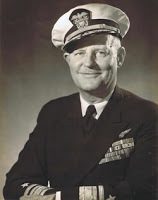 Vice Admiral Stevens was a contemporary of Rear Admiral Rico Botta who according to a former aerospace engineer, William Tompkins, oversaw a covert Navy espionage program out of Nazi Germany to learn about Nazi flying saucers during World War II. The 29 Navy spies in the program had not only learned that the Nazis had developed up to 30 different flying saucer prototypes, but were also being directly assisted by an extraterrestrial civilization comprising Reptilian hominoids in building secret bases in Antarctica. Both Admirals Botta and Stevens were leading experts in aerospace engineering and headed top Navy aerospace facilities at various points during their careers. 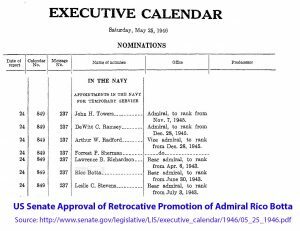 In 1946, both were retroactively promoted to the rank of Rear Admiral as of 1943, for their wartime duties. Botta went on to head the Naval Air Material Center out of Philadelphia Shipyard from 1950 to 1952. It is from this and similar command assignments that plans began for a secret Navy space fleet aimed to counter what the Nazis had developed in Antarctica. Similarly, Admiral Stevens was known for his accomplishments in aeronautics and is quoted as having “had a hand in the design or conception of all naval aircraft, aircraft carriers and carrier landing apparatus.” Admiral Stevens’ aeronautics expertise meant that he was almost certainly aware of what Botta had learned about Nazi aerospace projects. It is more than likely that Admirals Botta and Stevens were the first to comprise a covert Navy leadership group that would oversee the development of a U.S. Navy space fleet based on modern aircraft carrier battle groups that would in time join an interplanetary alliance. This is precisely what Tompkins says he was asked to do at the Douglas Aircraft Company on behalf of the Navy from 1952 to 1963. Tompkins says that he was covertly assisted by Nordic extraterrestrials while he was helping design kilometers-long spacecraft for future U.S. Navy space battle groups. In interviews, Tompkins has revealed that Nordic extraterrestrials were working directly with senior officers within the U.S. Navy. 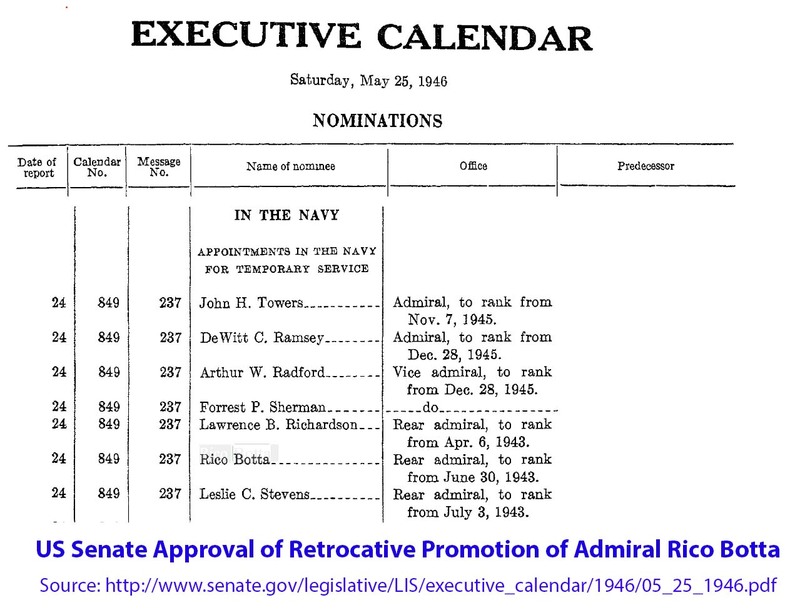 Admiral Stevens went on to occupy important positions with the national security council system, including the Psychological Strategy Board where he became Director. Formally established in 1951 by President Truman, it is one of the interagency boards that was set up to disinform the general public about the reality of flying saucers, while secretly gathering information about what other nations were doing in response to the phenomenon. William Tompkins confirmed, in a private phone call on August 24, that Admiral Stevens was aware of what the Navy had learned about Nazi Germany’s flying saucer programs. He further confirmed that Admiral Stevens played a direct role in setting up a secret U.S. Navy space program, and that his son, Leslie Stevens, IV, was aware of what was happening. Tompkins claims here are consistent with what he says happened from 1985 to 1999, when he ran an extraterrestrial related “Special Projects” out of the U.S. Navy League center in Medford, Oregon. He said that it was common for Navy officers to have their children briefed about secret space programs and alliances with different extraterrestrial races. 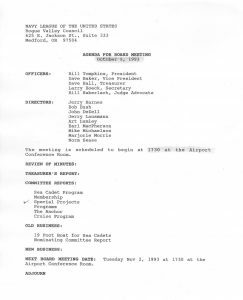 Tompkins has supplied a document confirming that he ran a Special Projects Committee with the U.S. Navy League. 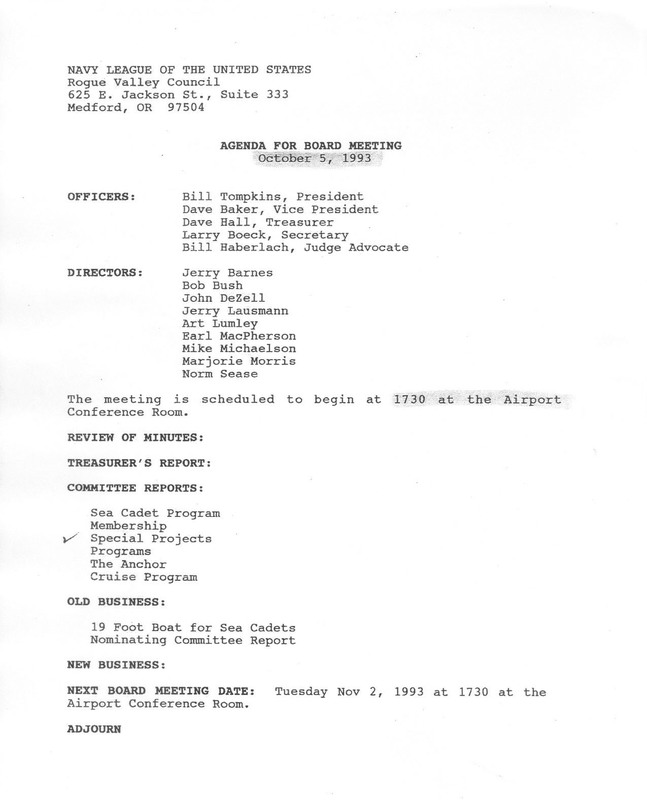 Additionally, two retired Navy Officers, Art Lumley (Commander), and Larry Boeck (Captain) have confirmed that Tompkins did discuss extraterrestrial projects at Navy League meetings, and was regarded as an expert on these issues. Tompkins’ testimony confirms that it was common practice for Navy officers, briefed about extraterrestrial life, to pass on some of this highly classified information to their children. Consequently, it is almost certain that Admiral Stevens revealed to his son, Leslie Stevens, some of the classified details about the existence of extraterrestrial life and secret space programs prior to his death. It is furthermore very possible, that Stevens, Jr., was part of a Navy sanctioned “soft disclosure” process that would use the television/movie industry to reveal elements of the Navy’s planned secret space program. All this helps considerably in finally understanding the nature of the business relationship between Roddenberry and Leslie Stevens, Jr. Stevens could not himself directly create a science fiction show revealing details of the classified information given to him by his deceased father, but he very likely received tacit permission by Navy officials, to share it with television/movie producers such as Roddenberry who would fictionalize the information. Consequently, the business relationship between Gene Roddenberry and Leslie Stevens, suggests that Star Trek was initially based on information gained by Admirals Botta and Stevens. A future U.S. Navy space fleet would be developed that would actively cooperate with Nordic extraterrestrials in an alliance that would counter the Nazis and their Reptilian allies. In the Star Trek series, the Nordics were depicted as Vulcans, the Reptilians as Klingons, while the Nazis were represented as genetically enhanced humans. Furthermore, it is topical to recognize that Roddenberry chose the beautiful, iconic city of San Francisco as the military headquarters for his fictional Starfleet Command in Star Trek, elevating this U.S. city in the hearts and minds of generations as a symbol of humanity’s bright future achievements. It would also directly represent the Navy’s plan for its secret space program becoming a model for integrating other nations in a united partnership. Two independent sources, former Asian Bureau chief for Forbes Magazine, Benjamin Fulford in 2011, and an anonymous source called the “Hidden Hand” in 2009, have revealed that the Illuminati/Cabal specifically named San Francisco (along with Damascus) as a city that will be made uninhabitable in its Armageddon agenda. Does San Francisco pose a double threat as both a symbol of hope within the collective psyche, and the truth of a reality it mirrors in the military’s accomplishments? If so, then the Cabal’s goal is not to destroy a city, but to break the collective spirit of a peaceful human vision for a spacefaring future that begins with full disclosure. 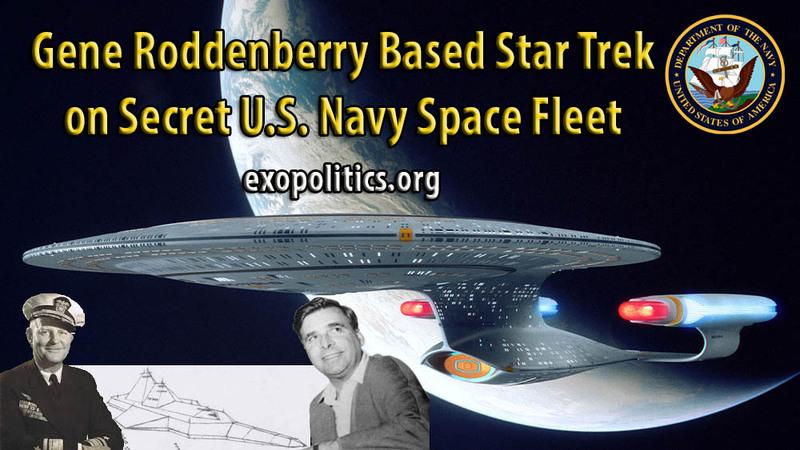 The above evidence suggests Star Trek was no mere science fiction series, but was actively encouraged through a business arrangement between Roddenberry and the son of a deceased U.S. Navy admiral, who was directly involved in developing a secret U.S. Navy Space Fleet called Solar Warden. As we celebrate the 50th anniversary of Star Trek on Thursday, it is worth remembering the roles of U.S. Navy admirals that helped launch the real secret space program upon which Star Trek was modeled.